In the first post of this DNSSEC series, I have showed the problem (DNS vulnerabilities), and in the second post the "solution". In this third post, I am going to analyze DNSSEC. Can DNSSEC protect the users against all of the attacks? Or just part of them? What about corner cases? DNS cache poisoning the DNS server, "Da Old way"
DNS cache poisoning, "Da Kaminsky way"
If you are a reader who thinks while reading, you might say "What the hell? Am I protected or not???". The problem is that it depends… In case where the attacker is between you and your DNS server, the attacker can impersonate the DNS server, downgrade it to a non DNSSEC aware one, and send responses without DNSSEC information. 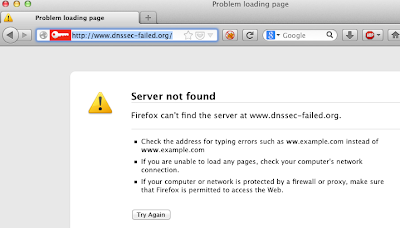 Configure your own DNSSEC aware server on your localhost, and use that as a resolver. This is pretty easy, even I was able to do it using tutorials. Use at least two-factor authentication for admin access of your DNS admin panel. Use a registry lock (details in part 1). Use a DNSSEC aware OS. There is a need for an API or something, where the client can enforce DNSSEC protected answers. In case the answer is not protected with DNSSEC, the connection can not be established. Did you know .SE signed its zone with DNSSEC in September 2005, as the first TLD in the world? Did you know DNSSEC was first deployed at the root level on July 15, 2010? Did you know .NL become the first TLD to pass 1 million DNSSEC-signed domain names? Did you know that Hungary is in the testing phase of DNSSEC (watch out, it is Hungarian)? 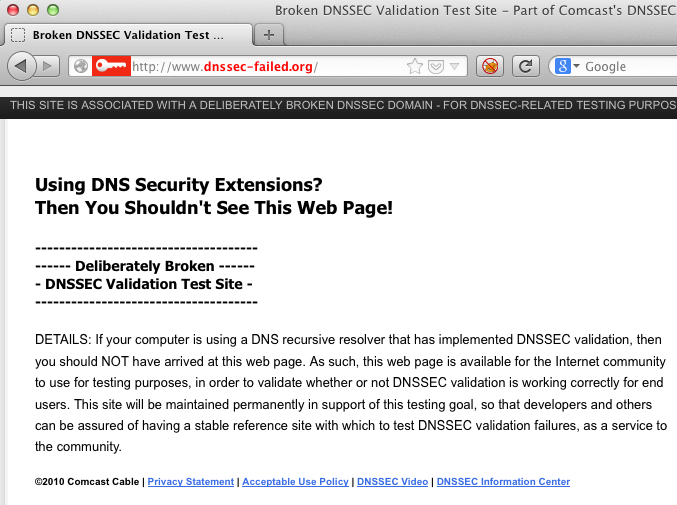 Did you know that you can also use and test that cool DNSSEC validator? Did you know that there are alternative solutions like DNSCrypt? Did yo know that in the future you might be able to enforce HSTS via DNSSEC? Did you know that in the future you might be able to use certificate pinning via DNSSEC? In our previous blog post, we have discussed some of the threats against current DNS systems, where the result was that the victim landed on a different resource/website as he/she originally supposed to visit. So far so good :-) The malicious attacker's evil plan has failed. 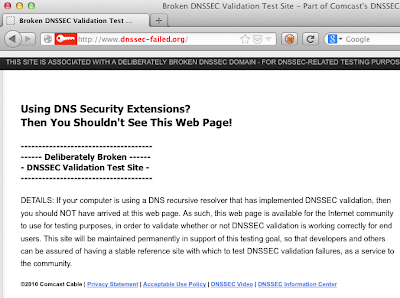 But what should you see when the server is protected with DNSSEC, and the DNSSEC response is valid/trusted? Please note that this "green key" stuff is for experimental purposes only. I hope the users should not have to look for another SSL-like padlock in their browser in the future. The key thing here is that the site has been rendered by the browser, and the response is protected by DNSSEC, thus eliminating lots of threats. 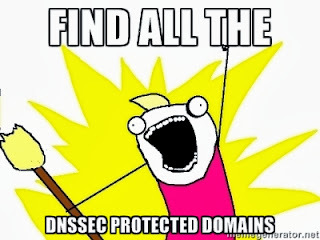 OK, so we, as end-users need sites/domains which are protected with DNSSEC, and a DNS server which validates the DNSSEC records. We have the DNS server (thx Google! ), so let's find some popular sites which are using DNSSEC! In order to demonstrate my 133t h4cking skillz, here is a small bash script. You give a file with the list of domains as a first parameter to the bash script, and it will give you back the domains protected with DNSSEC. Alexa was not kind enough to give me a recent list of top sites in text format, so I have used http://moz.com/top500 for this test. The results were quite shocking; the first result was at TOP40: gov.uk - but when you visit gov.uk via browser, it is redirected to a subdomain which is not protected with DNSSEC, so this kind of behavior is considered as FAIL. ca.gov - California homepage, don't mess with Arnie! I think I have never ever visited these websites before, except the Berkeley one. 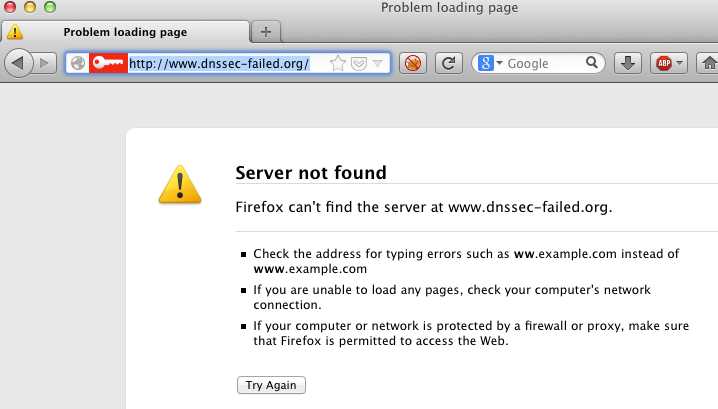 If you can find a financial institution which website's domain is protected by DNSSEC, let me know. I was not able to find one… For example paypal.com is a bad example, the main domain is protected with DNSSEC, but not the www.paypal.com. In the next part of our DNSSEC series, I will write about the threats eliminated by DNSSEC, and some other interesting things.